Draft: 2006, New York Yankees, 1st rd. Full name is Ian Patrick Kennedy…resides in Bucyrus, Kan., with his wife, Allison, and daughters, Nora Rose, Renee Elaine, Lydia Marie, Evelyn Nicole and son Isaac Patrick...A two-time member of the U.S. National Team (2004-05), including the Gold Medal winning squad at the 2004 FISU World University Junior World Championship in Canada...Attended the University of Southern California, where he ranks third in program history in strikeouts (380) and seventh in starts (47)…his 158 strikeouts as a sophomore (2005) are fourth on USC's single-season list...Named a first team All-American following his freshman and sophomore seasons…also tabbed Pac-10 Pitcher of the Year in 2005, becoming the eighth Trojan pitcher to earn the award...Wife, Allison, was a guard/forward on the USC women's basketball team...Graduated from La Quinta High School in Huntington Beach, Calif., in 2003…named California Intercollegiate Federation (CIF) co-Most Valuable Player and Orange County Register Most Valuable Player as a senior..Donated a suite to Military and First Responders every Saturday home game in 2018...also has been a regular participant at events for City Union Mission and Guadalupe Center as well as the Johnson County Christmas Bureau. Failed to reach 30 starts for the first time since 2009, snapping an eight-year stretch in which he, Max Scherzer and Jon Lester were the only pitchers in the Majors with at least 30 starts each season…his two DL stints in 2018 matched his total from his previous 11 seasons combined (2007-17)...Finished with three wins in 22 starts, his fewest since 2009 (1 IP), becoming the first Royal to win three games or fewer in 22 starts or more...Royals offense supported him with one run or fewer in 11 of 22 starts…his 3.76 run support average (50 runs in 119.2 IP), was the 10th lowest in the American League (min. 100 IP)...Went 1-3 in his first seven starts, despite a 2.92 ERA (12 ER in 37 IP), including four starts of at least 6.0 innings and one run or fewer allowed...Exited after 3.0 innings with a right foot contusion (hit by comebacker) on April 24 vs. Milwaukee…failed to record a strikeout for the first time in 274 career appearances…it was the fourth-longest streak to begin a career, trailing only Dwight Gooden (349), Josh Beckett (335) and David Price (299)...Placed on the 10-day DL on July 3 (retro to June 30) with a left oblique strain…reinstated on July 10...Removed from his July 10 start after just 3.0 innings, and was placed on the 10-day DL the following day with the same injury…reinstated on Sept. 9...Held winless (0-8) over a 17-start stretch from April 12-Sept. 9, in which he had a 5.48 ERA (54 ER in 88.2 IP), 1.83 HR/9 (18 HR) and the Royals went 3-14…it was the longest single-season streak of winless starts in Royals history...The 17-start winless stretch included nine starts in which he allowed two runs or fewer, and two scoreless starts: May 4 vs. Detroit (6 IP) and June 12 vs. Cincinnati (8 IP)...Winless streak was snapped with back-to-back wins on Sept. 15 vs. Minnesota and Sept. 21 at Detroit...Went 2-2 with a 3.38 ERA (15 ER in 40 IP) and .232 opponents' average (35-for-151) in his last seven starts dating back to June 23...In four starts after returning from a two-month DL stint on Sept. 9, he went 2-1 with a 2.88 ERA (8 ER in 25 IP), going at least 6.0 innings in all four starts...Went 3-1 with a 2.29 ERA (13 ER in 51 IP) in nine starts vs. AL Central opponents, the fourth-best ERA within the division (min. 50 IP), trailing Dallas Keuchel (1.90), Mike Clevinger (1.95) and Trevor Bauer (1.96). Went 5-13 with a 5.38 ERA in 30 starts…made 30 starts or more for the eighth-straight year, the third-longest active streak in the Majors, behind only Jon Lester (10 straight years) and Max Scherzer (nine straight) ... Missed 16 days of action in May, suffering a strained right hamstring in his May 4 start against the White Sox…his 154.0 innings were his fewest since making one appearances with the Yankees in 2009 ... Tied for fifth in the American League in losses, while his 34 home runs allowed were also fifth most ... Set a franchise record, going winless in 18-straight home starts (Aug. 31, 2016-Sept. 8, 2017)…snapped the drought in his final outing of 2017, defeating Arizona, 2-1 on Sept. 29 ... Collected a strikeout in all 30 starts…he's recorded at least one K in each of his 269 big league appearances, which is tied with Boston's David Price for the longest active streak to start a career ... Held opponents to a .227 average (70-for-308) in their own ballparks, which ranked 10th in the AL (min. 250 BF) ... Ranked first in ERA (2.18) vs. AL West foes among pitchers that worked at least 45.0 innings against the division…went 2-2, while also holding those clubs to a .185 average (29-for-157)…he was 4-9 with a 7.11 ERA (64 ER in 81.0 IP) in 18 starts against the rest of the American League ... Dropped his first six decisions (April 5-June 5), before winning four straight (June 16-July 26)…his six-straight losses to open the year tied for second most in Royals history, behind Wally Bunker who went 0-8 to start the 1970 season ... Also dropped seven-straight decisions (Aug. 1-Sept. 24), which was the longest losing streak by a Royals pitcher since Kyle Davies dropped eight straight in 2011 ... Went winless in April, despite ranking second in the AL in opponents' average (.159) and 10th in ERA (2.30) during the month ... After a rough May (0-3, 11.30 ERA), went 4-1 with a 3.88 ERA (25 ER in 58.0 IP) during June and July ... Set season highs in innings (8.0) and strikeouts (10) in a no-decision against the Angels on April 16, a game KC won 1-0…it marked his eighth career start of 8.0 shutout innings and second as a Royal (also, Aug. 20, 2016 vs. Minnesota) ... Earned his first victory of the year on June 16 in Anaheim, 3-1, allowing one run on two hits over 6.0 innings…it marked his first career victory over the Angels. Matched a career high with 33 starts in his first season in Kansas City…posted an 11-11 record with a 3.68 ERA (80 ER in 195.2 IP) and 184 strikeouts...Made at least 30 starts for the seventh consecutive season in 2016 (since 2010)…he's one of five pitchers to accomplish that feat, joining James Shields, Max Scherzer, Jon Lester and Cole Hamels...Among qualifying AL pitchers, he tied for fourth in starts, eighth in hits per 9.0 innings (7.96), ninth in opponents' batting average (.236) and 10th in strikeouts...Held opponents to a .192 batting average (23-for-120) with runners in scoring position, fourth-best among qualifying AL pitchers…it was also the sixth-best mark in club history (min. 125 batters faced) and lowest since David Cone (.150) in 1994...Recorded an 8.46 strikeouts per 9.0 innings rate (184 K in 195.2 IP), the sixth-best rate in franchise history...Allowed the third-most home runs (33) in the AL, topping his previous career high (31) from 2015…also tied for second in the AL in hit batsmen (13)…his 13 hit batters were more than he totaled in the previous two seasons combined (11)...Reached double-digit wins for the fourth time in his career, also doing so in 2011 (21) and 2012 (15) with Arizona and in 2014 (13) with San Diego...Went 5-2 in nine day starts…his 3.00 ERA (18 ER in 54.0 IP) during the day ranked fourth in the AL and his .196 opponents' average (38-for-194) ranked sixth...Posted a 3.41 home ERA (33 ER in 87.0 IP), good for 10th in the AL…his .219 opponents' average (70-for- 320) at home ranked fifth...Named Royals Pitcher of the Month twice, earning the honor in May and August…went 2-1 with a 3.24 ERA (12 ER in 33.1 IP) in six May starts and 3-0 with a 1.86 ERA (8 ER in 38.2 IP) in six August starts...Went 3-0 with a 2.86 ERA (9 ER in 28.1 IP) in five starts vs. Minnesota, becoming the first Royal to go 3-0 against the Twins (min. five starts) since Paul Splittorff in 1977…had two scoreless outings vs. the Twins...Surrendered one hit over 6.0 scoreless innings in a 2-0 win over Chris Sale in Chicago on Sept. 11…also held Tampa Bay to one hit in 6.0 scoreless innings on August 4, taking the no-decision in a 3-2 Royals loss… he's the first Royal to record two games in the same season with 6.0 shutout innings and one-or-fewer hit...Recorded 29 strikeouts over a three-start stretch matched a career high (also, August 22-September 2, 2015)…his run included a season-high 11 strikeouts on June 26 vs. Houston. Spent the season with the San Diego Padres, going 9-15 and a 4.28 ERA with a .258 opponents' average in 30 starts...He recorded 30 starts or more for the sixth straight season, becoming the only National League pitcher to accomplish this and one of just nine Major League hurlers...From June 1 on, he posted a 3.41 ERA (49 ER in 129.1 IP) with 137 strikeouts and a 7-10 mark...his 9.53 strikeouts per 9.0 IP in that span ranked seventh in the National League...Recorded 98 strikeouts after the All-Star break, which were the fifth-most in the N.L. and 10th-most in the Majors...his total also tied for fifth-most by a Padres hurler after the break...Matched a career-high with 12 strikeouts vs. Texas on September 2...had three starts of 10 strikeouts or more, which tied his highest total in a season (2011)...Allowed 15 unearned runs, third highest total in the Majors and second-most in the N.L. (Andrew Cashner, 22)...During a 12-start stretch between June 13-August 21, he allowed at least one home run in each start...still posted a 2.63 ERA in that time (21 ER in 72.0 IP)...according to Elias Sports Bureau, Kennedy is the only Major League pitcher to surrender a homer in 11 straight starts or more and maintain an ERA below 3.00 in that span...Prior to his start on July 31 in Miami, his wife, Alison gave birth to their fourth child, Evelyn Nicole...Kennedy made the start that night, a Padres 8-3 victory, unable to return to California due to weather...Missed 14 games after being placed on the 15-day D.L. with a strained left hamstring on April 10. In his first full season with the Padres, posted a 13-13 record with a 3.63 ERA (81 ER, 201.0 IP) and a career-high 207 strikeouts over 33 starts…his lowest ERA since posting a careerbest 2.88 mark in 2011...Threw 201.0 innings, the third time in his career he's reached the 200.0 IP mark (also, 222.0 IP in 2011 and 208.1 IP in 2012, both with Arizona)...Recorded 207 strikeouts, surpassing his previous career high of 198 in 2011…became the fourth pitcher (sixth time) in Padres history to strike out 200 batters in a season, joining Kevin Brown in 1998 (257), Jake Peavy in 2005-07 (216, 215 and 240, respectively) and Clay Kirby in 1971 (215)...His 207 strikeouts were tied for the fifth-most in the National League and tied for the 11th-most in Major League Baseball...Tallied 133 strikeouts before the All-Star break, the second-most in franchise history during the first half, trailing only Andy Benes, who had 138 punch-outs in 19 first-half starts in 1994...Matched his career high and set a Padres season high with 12 strikeouts on 5/12 vs. MIA…in that same game, he belted his first career home run, a solo shot off Jacob Turner…became the first pitcher in Padres history to hit a home run and record 12-or-more strikeouts in a single game and the sixth Major Leaguer since the 1985 season to do so...Posted 9.27 strikeouts per nine innings, the sixth-best mark by a starting pitcher in franchise history…his SO per 9.0 IP ratio was also the fourth-best number in the National League and the 10th-best in Major League Baseball...Made 30+ starts for the fifth straight season and is one of 14 pitchers in the Majors to do so since 2010, one of just three National League pitchers to do so, joining Yovani Gallardo (MIL) and Cole Hamels (PHI).,,Over 13 starts after the All-Star Break, went 6-4 with a 3.87 ERA (33 ER, 76.2 IP) and 74 strikeouts against 36 walks…during the first half, had gone 7-9 despite a 3.47 ERA (48 ER, 124.1 IP) with 133 strikeouts against 34 walks...Over his final 16 starts (since 7/1), was 8-4 with a 3.23 ERA (35 ER, 97.2 IP) and 96 strikeouts after posting a 5-9 record with 4.01 ERA (46 ER, 103.1 IP) and 111 strikeouts in his first 17 starts…posted a 4-3 record with a 2.84 ERA (16 ER, 50.2 IP) in eight starts on the road after 7/1. Acquired by the Padres from the Diamondbacks at the trade deadline…in 10 starts with San Diego, went 4-2 with a 4.24 ERA (27 ER, 57.1 IP)...Made his third consecutive Opening Day start for the D-Backs...In 21 starts for Arizona prior to being acquired by the Padres on July 31, had gone 3-8 with a 5.23 ERA (72 ER, 124.0 IP) over 21 starts for the D-backs...Made his Padres debut with a start at Petco Park on August 4 against his former team, the Yankees…earned the win that day...Over his first eight starts for San Diego from August 4 - September 13, went 3-1 with a 3.66 ERA (19 ER, 46.2 IP), a .220 (38-for-173) opponent average and 46 strikeouts against 24 walks...Had a total of 12 hit batsmen in 2013, the second-highest total of his career (14 in 2012), tied with Stephen Strasburg (WSH) for the third-most HBP among National League pitchers in 2013…since his first full season in 2010, has recorded a total of 45 HBP, the third-most among all Major League pitchers over that span. Went 15-12 with a 4.02 ERA (93 ER in 208.1 IP) in a career high-tying 33 starts with the D-backs...led the teamin strikeouts (187) for the second straight campaign...Recorded his second consecutive season with at least 10wins, 30 starts and 200.0 innings pitched...Tied for the NL lead in starts, ranked sixth in wins andtied for 10th in innings pitched...The 9 second-half victories tied for the most in the NLwith Johnny Cueto, Yovani Gallardo, Gio Gonzalez, TimHudson, Kyle Kendrick and Kris Medlen...Was 4-for-51 (.078) with 11 walks at the plate...the 11walks were the most by a pitcher since the Expos' SteveRogersin 1982 (also 11)...His 9-game winning streak dating back to Aug. 23, 2011came to an end on May 3 @ Nationals...Boasted a club record 9 consecutive winning decisions atChase Field from July 16, 2011-April 6, 2012...10-gamehome streak tied for the third-longest in club history...Matched his career high with 12 strikeouts on June 5 vs.Rockies (third time) and struck out at least 7 batters in 3straight starts for the first time...also became the secondD-backs pitcher (fifth time) to record 12 strikeouts in 6.0innings or less (also, 4 times by Randy Johnson)...Became the seventh D-backs' pitcher to hit a triple onJuly 23 vs. Rockies (first with the bases loaded)...3 RBIalso marked a career high...Struck out at least 7 batters with no walks in consecutivestarts on July 18 @ Reds and July 23 vs. Rockies, the firstD-backs pitcher to do so since Dan Haren from May 23-28, 2009. Finished fourth in the National League Cy Young Award balloting, going 21-4 with a 2.88 ERA (71 ER in 222.0 IP) in 33 starts in his second season with the D-backs...Was the fourth 20-game winner in franchise history (sixth time), joining Randy Johnson (2001-02), Curt Schilling (2001-02) and Brandon Webb (2008)...Established a franchise record with a .840 winning percentage, the best mark in the NL since Mike Hampton went 22-4 (.846) in 1999...his 21 wins also tied for thefifth-most in D-backs history (also Johnson in 2001) and his 2.88 ERA ranked eighth...Became the fourth D-backs pitcher to tie or lead the NLin victories (Schilling in 2001, Johnson in 2002 and Webb in 2008)...combined with Daniel Hudson to be the second duo in club history to pitch at least 220.0 innings in a single-season (also Johnson and Schilling in 2001-02)...Is 1 of 9 pitchers since 1950 to win at least 20 games,make 30 starts and record no more than 4 losses, joining Preacher Roe (1951), Whitey Ford (1961), Ron Guidry (1978), Dwight Gooden (1985), Roger Clemens (1986, 2001), Hampton (1999), Pedro Martinez (2002) and Cliff Lee (2008)...Was the first right-hander with 20 wins and less than 200strikeouts since the Yankees' Mike Mussina (20/150) and Webb (22/183) in 2008...Posted a 1.000 fielding percentage (36 TC) and finishedsecond in NL Rawlings® Gold Glove Award voting...The D-backs went 25-8 in his 33 starts and made 24 quality starts (D-backs were 21-3)...Went 10-0 vs. the NL West...according to Elias Sports Bureau, joined Schilling (2002) and Webb (2008) as the only D-backs' pitchers to win their first 9 intra-division decisions in a season...Was 13-1 with a 2.26 ERA (25 ER in 99.2 IP) in 15 games from July 8 to the end of the season...his 12 second-half wins tied for the Major League lead with the Dodgers' Clayton Kershaw and Tigers' Justin Verlander...Tossed at least 100 pitches in 22 straight starts from April 20-Aug. 12, tied for the fourth-longest streak in club history with Johnson in 2002...Made his first Opening Day start on April 1 @ Rockies (ND, 3 ER in 6.0 IP)...was 1 of 4 pitchers to start his team's home and road openers along with the Rays' David Price and Twins' Carl Pavano and Kershaw...Tossed his first-career shutout on April 25 vs. Phillies (3 hits, 10 strikeouts)...according to Elias Sports Bureau, became the third D-backs' pitcher to toss a shutout whileallowing 3 or fewer hits and no walks with at least 10 strikeouts, joining Schilling on April 10, 2001 vs. Dodgers (2 hits, 10 strikeouts) and Johnson on May 18, 2004 @ Braves (perfect game, 13 strikeouts)...completed the game in 2-hours, 4-minutes, the time of day his daughter, Nora Rose, was born the previous day...Won 7 straight starts from July 8-Aug. 12, tied for the second-longest streak by a D-backs starts in team history(also Johnson in 2000)...only Webb's 9 straight wins in 2008 was longer (Elias)...Became the NL's first 18-and 19-game winner...won his 18th game on Sept. 3 @ Giants...according to Elias, he became the first pitcher since the Reds' Ewell Blackwellin 1947 to be the NL's first 18-game winner after having no more than 10 career wins prior to that year...Blackwell was 9-13 entering 1947 then won his 18th game on July 25, 1947...Was the fifth D-backs pitcher with 11 strikeouts with no walks on Sept. 8 vs. Padres...Johnson (16x), Schilling (6x), Daal and Webb also accomplished the feat...Tied his career high with 12 strikeouts on Sept. 19 vs.Pirates, allowing 1 hit over 8.0 scoreless IP...POSTSEASON: Was 0-1 with a 4.26 ERA (6 ER in 12.2 IP) in 2 NLDS starts vs. Brewers...suffered the loss in Game 1 (4 ER in 6.2 IP) and did not factor in the decision in the deciding Game 5 (2 ER in 6.0 IP). In his first full season in the Majors, led the D-backs' staff in wins after posting a 9-10 record, 3.80 ERA (82 ER in 194.0 IP) and .228 opponents average with 70 walks and 168 strikeouts in 32 starts...his 15 quality starts tied for topson the team with Rodrigo Lopez...Named Most Valuable Pitcher by the Arizona chapter of the BBWAA...Among NL starters, ranked eighth with a .228 opponents average and 7.56 hits allowed per 9.0 innings...Limited the opposition to a .224 average (36-for-161) with runners in scoring position and held left-handed hitters toa .218 average (76-for-348) with 29 walks and 88 strikeouts...After starting the season with an 0-1 record and 3 no-decisions in his first 4 starts, recorded his first win as a D-backon April 29 @ Cubs...permitted a run over the first 7.0 innings before leaving after an eighth-inning grand slam byKosuke Fukudome...the win was the second of his career and first since receiving the win in his Major League debutwith the Yankees on Sept. 1, 2007, a span of 17 games (15 starts)...Had a 6-7 record and team-best 3.17 ERA among starting pitchers in his first 13 starts through June 9 before sufferinglosses in 4 consecutive starts from June 15-July 5 (0-4, 7.61 ERA)...Posted back-to-back wins July 10 vs. Marlins and July 19 vs. Mets and won 3 of 5 overall starts in July...Starting with his July 10 start vs. Marlins, posted a 6-3 record and 3.38 ERA in his final 15 starts of the season...thestretch also included a team-high and career-best 17-inning scoreless streak from Aug. 31-Sept. 12...also had 5 nodecisionsduring that stretch where he allowed 3 earned runs or less, including 2 starts without allowing any runs and2 others with only giving up 1 run...Tied a team season-high when he struck out a career-high 12 batters on Aug. 26 @ Padres, his first career double-digitstrikeout game...also allowed a career-low tying 1 hit, having also done so with the Yankees on Sept. 13, 2007 @ BlueJays...it marked only the eighth time in franchise history a D-backs hurler has allowed 1 hit or less with 12 or morestrikeouts...Picked up his first career hit on April 18 @ Padres with a second-inning single off Wade LeBlanc...collected his firstcareer RBI with a sacrifice fly in the seventh inning on April 29 @ Cubs...recorded his first career multi-hit game onAug. 14 @ Nationals, going 2-for-3 with a run scored and RBI...collected his first career extra-base hit when he connectedfor a double on Sept. 6 vs. Giants...on Sept. 12 @ Rockies, established a new career-high with 3 hits. Missed majority of the season with an aneurysm near his right shoulder...Opened the season at Triple-A Scranton/Wilkes-Barre and went 1-0 with a 1.59 ERA (4 ER in 22.2 IP) in 4 starts...Placed on the disabled list on April 28 with what was originally diagnosed as a vasospasm in his right middle finger and following a MRI in May, was later diagnosed as an aneurysm near his right shoulder...on May 12, had surgery to remove aneurysm performed by Dr. George Todd in New York, N.Y...Reinstated from the disabled list on Sept. 12 and started for Single-A Tampa in the 5-2 win over Charlotte in Game 1 of the Florida State League Championship Series...Transferred to Scranton/Wilkes-Barre on Sept. 13...on Sept. 16, tossed 3.0 perfect innings with 6 strikeouts (9 batters faced) in the Game 2 loss, 4-1, at Durham in the Governor's Cup Finals...Recalled by the Yankees on Sept. 19 and made his lone appearance on Sept. 23 @ Angels...Following the season, pitched for the Surprise Rafters in the Arizona Fall League...in 7 starts, went 2-1 with a 4.25 ERA (14 ER in 29.2 IP). Was 0-4 with an 8.17 ERA in 10 appearances (nine starts) over three stints with the Yankees (3/31-5/4; 5/15-6/24, 8/8-9)... according to the Elias Sports Bureau, his ERA was the highest ever for a Yankees pitcher who made at least nine starts... Elias also notes that his nine startstied Steve Trout (1987) as the most games started by aYankees pitcher in a winless season... the Yankees were2-7 in his starts...Opponents batted .309 (50-for-162, 5HR); LH .236 (21-for-89, 1HR), RH .397 (29-for-73, 4HR)... opponents' No.1-3 batters batted .179 (10-for-56), while the remainderof the lineup hit .377 (40-for-106)...His streak of nine consecutive starts without a win wasthe longest such stretch by a Yankees rookie to begin aseason in franchise history... the previous high was BobWiesler, who was 0-2 in seven starts in 1955 (credit: EliasSports Bureau)...Was 23 years old at the start of the season, and-withPhil Hughes (age 21)-became the fourth pair ofpitchers each under the age of 24 to start for theYankees within the team's first four games of a seasonand the first since Dave Righetti (23) and Mike Morgan(22) in 1982 (also Hippo Vaughn-23, Ray Fisher-23 andRay Caldwell-22 in 1911; and Mel Stottlemyre-23 and AlDowning-23 in 1965). Credit: Elias Sports Bureau...Made his first start of the season on 4/4 vs. Tampa Bay, recording his first career loss inthe Rays' 13-4 victory... allowed a career-high 6ER in 2.1IP (4H, 4BB, 2K)... was just thesecond time in 30 professional starts that he allowed more than 3ER in a start (also6/5/07 vs. Binghamton in his Double-A debut - 4ER)...Made his first Major League relief appearance on 4/9 at Kansas City in a 4-0 Royalsvictory (3.0IP, 2H, 2ER, 2BB, 3K)... was scheduled to start but a potential rain delaycaused Manager Joe Girardi to use his bullpen to start the game, bringing in Kennedyin the sixth inning...Exited his start on 4/14 at Tampa Bay after facing one batter in the seventh inning whenhe was struck in the right hip by a Jason Bartlett line drive... recorded a no-decisionin an 8-7 Yankees victory (6.0IP, 3ER)...Was optioned to Triple-A Scranton/Wilkes-Barre on 5/4 and did not allow a run in twostarts... in his first start on 5/6 vs. Charlotte (CWS), tossed 7.1 scoreless innings andallowed only 1H and 1HBP with 0BB and 8K (90 pitches/58 strikes)... had a no-hitterbroken up with two outs in the sixth inning by a Jerry Owens single... earned the winin the 4-0 SWB Yankees victory vs. the Knights...Was recalled from Scranton/WB on 5/15 and made the start that night at Tampa Bay,recording the loss in a 5-2 Rays victory (5.0IP, 5ER)... allowed a leadoff home run toAkinori Iwamura, marking his first home run allowed to a left-handed batter in theMajors (80AB)...Left his start on 5/27 at Baltimore after the third inning with a right lat muscle strain... was placed on the 15-daydisabled list the next day... made one rehab appearance with the GCL Yankees (3.0IP, 3H, 1ER, 7K, 1HP)... wasreturned from rehab, reinstated from the 15-day D.L. and optioned to Single-A Tampa on 6/24, where he madeone start... was transferred to Scranton/WB on 7/3 and made seven appearances (six starts), going 3-2 with a2.61 ERA (38.0IP, 27H, 12R, 11ER, 4HP, 13BB, 30K, 3HR)...Was recalled to make an emergency start on 8/8 at Los Angeles (AL) after RHP Joba Chamberlain was placedon the D.L... allowed 9H and 5ER in 2.0IP (1BB, 1K)... was optioned back to SWB the next day...In 13 games (12 starts) overall with Scranton/WB, went5-3 with a 2.35 ERA, striking out 72 batters in 69.0IP andholding opponents to a .206 batting average... held lefthandedbatters to a .180 average... limited opponents to2ER or less in 10 starts, making six 'quality starts'... struckout a season-high 11 batters in his final regular seasonstart on 8/30 at Rochester, throwing 6.2 shutoutinnings...Made two postseason starts for the International Leaguechamps, going 0-1 with a 1.50 ERA (12.0IP, 2ER) and 13K...Made six starts with Los Indios de Mayaguez in the Puerto Rico Winter League, going 2-2 with a league-low1.56 ERA... recorded his first career shutout on 11/30 at Los Lobos de Arecibo (7K, 3H, 1BB)... struck out at leastfive batters and allowed 3H or less in four of his six starts. Pitched his way through Single-A Advanced Tampa, Double-A Trenton and Triple-A Scranton/Wilkes-Barre to earn a September call-up to the Yankees for his first Major League action, having entered the season rated by Baseball America as the Yankees' fifth-best prospect...In 3 starts for the Yankees, went 1-0 with a 1.89 ERA (4 ER in 19.0 IP) and a .191 opponents batting average (13-for-68) with 9 walks and 15 strikeouts...the Yankees were 2-1 in his starts...Received the 2007 Kevin Lawn Minor League Pitcher of the Year award, given annually to the Yankees top pitchingprospect...in a combined 26 games (25 starts) in the minors, went 12-3 with a 1.91 ERA (31 ER in 146.1 IP) and .182opponents batting average (91-for-501) with 50 walks and 163 strikeouts...Among full-season minor league pitchers, ranked second with a .182 opponents batting average, third with a 1.91ERA and 13th with 163 strikeouts...Over his 29 games in the Majors and minors, held opponents to 3 earned runs or less in 28 games, including 9 scorelessoutings...allowed 4 earned runs on June 5 vs. Binghamton for Double-A Trenton...Began the season at Single-A Tampa...Named FSL Player of the Week for May 14-20...Named FSL Player of the Month for May, going 5-0 with a 0.70 ERA (3 ER in 38.2 IP) in 6 starts...Led the Florida State League with 6 wins and a 1.29 ERA at the time he was transferred to Double-A Trenton on June5...Over 12 games from April 16-June 16, went 9-0 with a 1.72 ERA (13 ER in 68.0 IP)...did not allow a run in 6 of thosecontests...Transferred to Triple-A Scranton/Wilkes-Barre on July 24...Had his contract purchased by the Yankees on Sept. 1 and made his Major League debut that day vs. Rays...becamethe third Yankee in 2007 to record a win in his Major League debut (also Chase Wright on April 17 vs. Indians andTyler Clippard on May 20 @ Mets)...became the eighth different rookie to start a game for the Yankees in 2007 (sixthto make his big league debut), tying a franchise record for most rookie starters in a season previously set in 1907...according to the Elias Sports Bureau, prior to 2007 no more than four Yankees starting pitchers had ever made theirMajor League debuts in the same season...the last time as many as six pitchers did so was for the 1935 PhiladelphiaPhillies...Prior to his scheduled start on Sept. 22, suffered a strained upper back muscle while throwing a bullpen session andmissed the remainder of the season...Named to Baseball America's midseason All-Star Team and postseason Minor League All-Star Team...Rated by Minor League News as the 40th-best prospect in the game...Following the season, was rated by Baseball America as the Yankees' fourth-best prospect and as having the organization'sbest control. Made his professional debut with Short-Season Single-A Staten Island Yankees...pitched 2.2 perfect innings on Sept. 6 vs. Tri-City in his only appearance...Following the season, pitched for West Oahu in the Hawaiian Winter League and was selected as a HWL Postseason All-Star...in 9 games (7 starts), went 0-2 with a 4.45 ERA (15 ER in 30.1 IP) and .268 opponents average (33-for-123)with 11 walks and 45 strikeouts. Jonathan Schoop grounds into a force out, shortstop Adalberto Mondesi to second baseman Chris Owings. Marwin Gonzalez out at 2nd. September 9, 2018 Kansas City Royals activated RHP Ian Kennedy from the 10-day injured list. September 3, 2018 Kansas City Royals sent RHP Ian Kennedy on a rehab assignment to Northwest Arkansas Naturals. August 29, 2018 Kansas City Royals sent RHP Ian Kennedy on a rehab assignment to Omaha Storm Chasers. July 10, 2018 Kansas City Royals activated RHP Ian Kennedy from the 10-day disabled list. July 4, 2018 Kansas City Royals placed RHP Ian Kennedy on the 10-day disabled list retroactive to June 30, 2018. Left oblique strain. May 21, 2017 Kansas City Royals activated RHP Ian Kennedy from the 10-day disabled list. May 5, 2017 Kansas City Royals placed RHP Ian Kennedy on the 10-day disabled list. Strained right hamstring. January 29, 2016 Kansas City Royals signed free agent RHP Ian Kennedy. November 2, 2015 RHP Ian Kennedy elected free agency. August 4, 2015 San Diego Padres activated RHP Ian Kennedy from the paternity list. August 1, 2015 San Diego Padres placed RHP Ian Kennedy on the paternity list. April 25, 2015 San Diego Padres activated RHP Ian Kennedy from the 15-day disabled list. August 2, 2013 San Diego Padres activated RHP Ian Kennedy. July 31, 2013 Arizona Diamondbacks traded RHP Ian Kennedy to San Diego Padres for LHP Joe Thatcher and RHP Matt Stites. June 28, 2013 Ian Kennedy roster status changed by Arizona Diamondbacks. 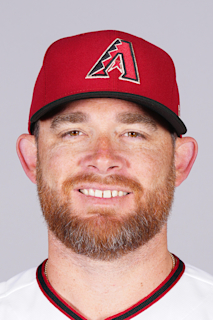 June 17, 2013 RHP Ian Kennedy roster status changed by Arizona Diamondbacks. November 9, 2009 Ian Kennedy roster status changed by New York Yankees. October 7, 2009 New York Yankees reassigned RHP Ian Kennedy to the minor leagues. September 19, 2009 New York Yankees recalled RHP Ian Kennedy from Scranton/Wilkes-Barre Yankees. September 15, 2009 Ian Kennedy assigned to Scranton/Wilkes-Barre Yankees from Tampa Yankees. September 12, 2009 Ian Kennedy assigned to Tampa Yankees from Scranton/Wilkes-Barre Yankees. April 30, 2009 Ian Kennedy roster status changed by Scranton/Wilkes-Barre Yankees.